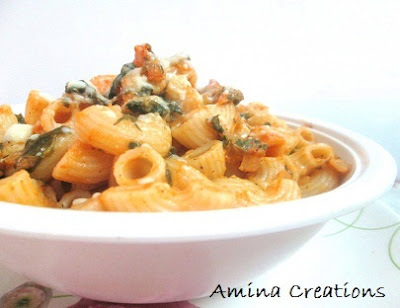 This is yet another delicious recipe using pasta. 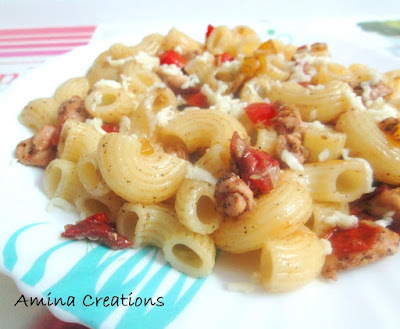 Of late, I have been making pasta dishes at home as they are quick, delicious and easy to make. 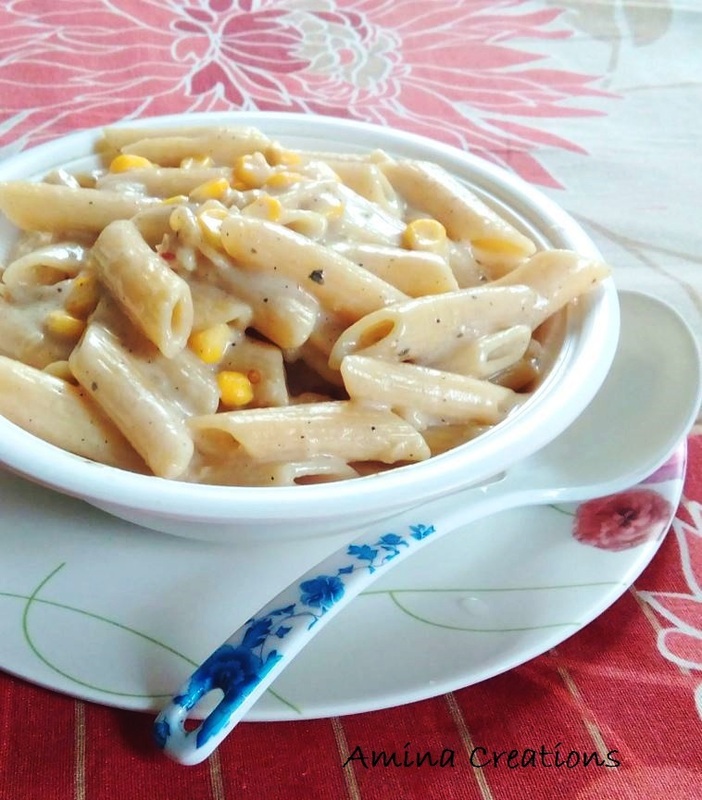 Sweet corn and cheese pasta is just a perfect dish you can prepare for breakfast or dinner. Heat water in a pan and when it starts boiling add salt and pasta. Mix well and boil for 10 to 12 minutes till the pasta has cooked but is still firm. Meanwhile finely chop the garlic and grate the cheese cubes. Heat butter in a non stick pan, and add garlic. Saute for a minute and when the raw smell goes, add maida and mix well. Roast in a low flame for a couple of minutes till the raw smell goes. Add milk now and bring to a boil. Drain the excess water from the pasta and keep ready. When the gravy starts thickening, add salt and pepper to taste and cook for a minute. Add the cooked pasta now along with sweet corn and mix well. Check for taste and add salt or pepper if required. Finally add grated cheese and chopped coriander leaves. Give a quick stir and switch off the gas.